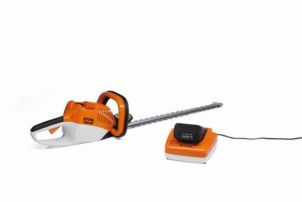 Powerful, quite cordless hedge trimmer with an impressive 36V Lithium-ion battery, high stroke rate, special cutters and bar length of 62cm. Wide tooth spacing and long tooth length for branches up to 22mm in diameter. Ideal for commercial landscaping. Cutter types with double-sided teeth.